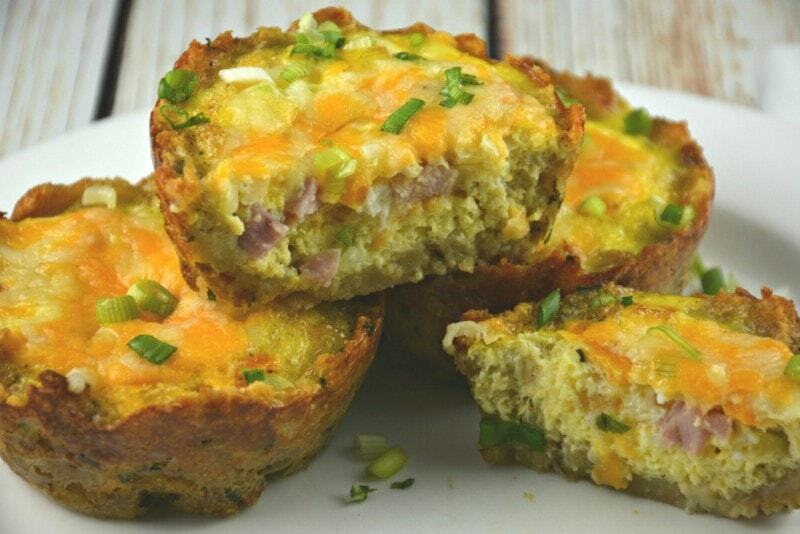 Easy Western Stuffing Egg Muffins are a delicious and easy way to start any day! I just can’t get enough of this crust! If you are a fan of stuffing you will love these versatile and tasty little treats, perfect for any time of the day! 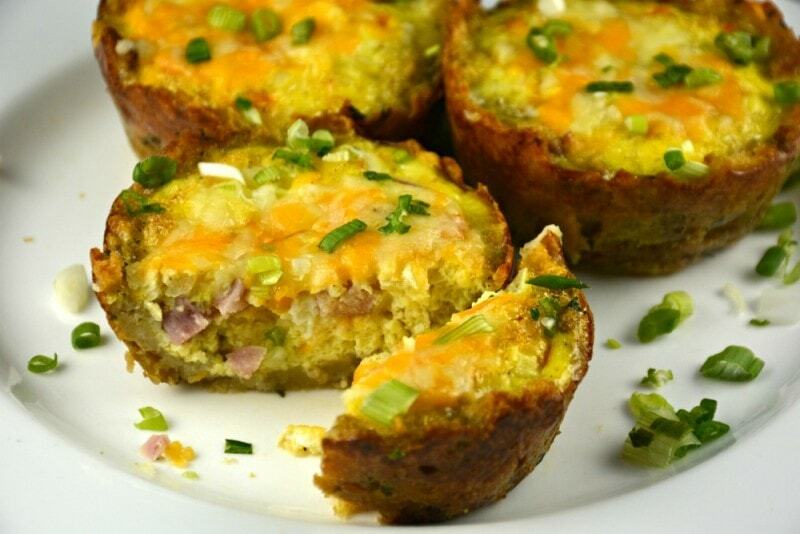 You can include anything you like in these Easy Western Stuffing Egg Muffins. You can use any cooked meat and almost any vegetables! The reason I say almost any vegetable is because if you are using mushrooms for example you will need to saute them first or the egg mixture can become watery! Yes I know this because I have tried it and I should have known better! In life you always have a choice. 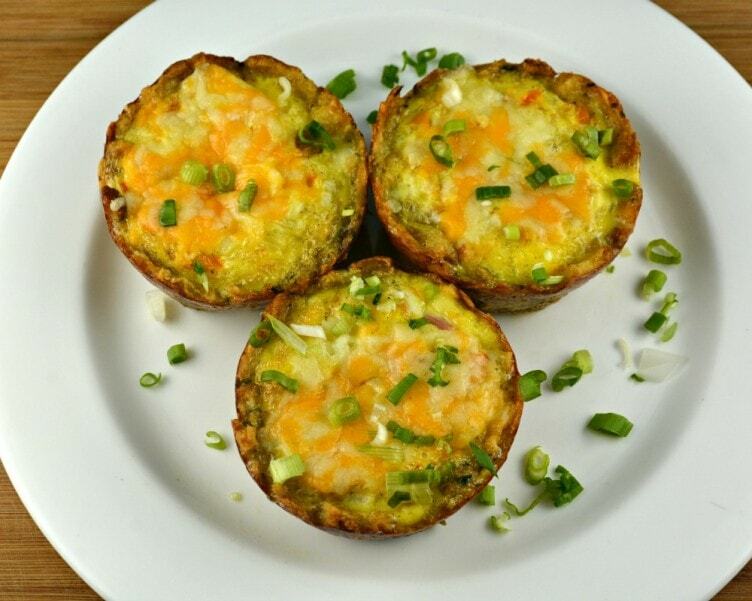 If you prefer plain old eggs instead of these Easy Western Stuffing Egg Muffins you can always try our Easy Stuffing Egg Muffins too! They are wonderful in their own right. If you enjoy dipping toast into a runny egg you might just love eating the runny egg with some of this stuffing crust! Totally delicious! 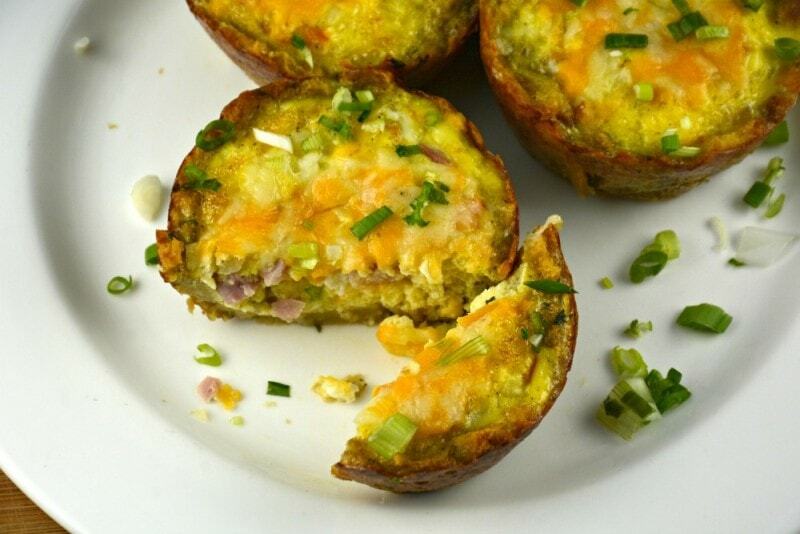 When my son was small he used to love making these Easy Western Stuffing Egg Muffins. We used to put out all of the choices and he and his friends would each make their own. They were funny too, continually running back and forth to the oven to watch for when they were cooked and ready to eat! To this day he still makes them but I a sure he is not as excited while he does it! 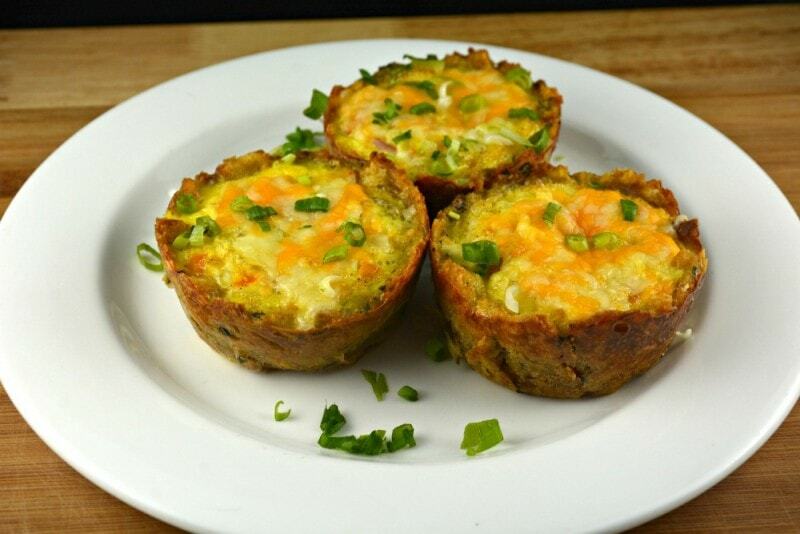 I have used so many things to make these Easy Western Stuffing Egg Muffins. Everything from cooked bacon, ham and sausage to spinach, tomato and feta, to broccoli and cheese to, well, you get the idea! You can use these as a fridge cleaner or include whatever you like with your eggs, the possibilities are truly endless! 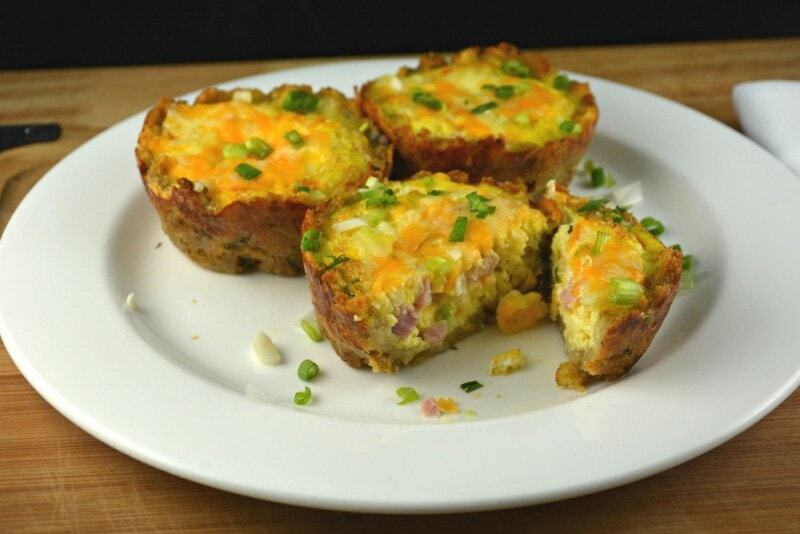 Check out our video below for these Easy Western Stuffing Egg Muffins. I think you will be glad you did! Preheat oven to 350 degrees. Prepare a 6 hole muffin pan with cooking spray. Set aside. If you are just using some cheese and some eggs, make sure they are out and ready at your workstation. Prepare stuffing as directed on package, except do not allow the stuffing to rest. Boil your water with some butter in it and as soon as it boils add stuffing mix and stir until combined. Then divide mixture, as evenly as possible, between the six holes in the muffin pan. I usually use a soup spoon to do this. Next press stuffing into the muffin hole and press it up the sides. Push the stuffing deep into the bottom of the muffin hole, especially around the lower bottom round edge. As you do this the stuffing will push up the sides of the muffin cup. Once stuffing is cool enough I usually use my fingers to do this. The stuffing does not have to reach the top of each muffin hole but get as close as you can. Next, sprinkle some cheese on the bottom of each stuffing cup. Add one egg to each muffin cup. Bake for about 20 minutes. Remove from oven and sprinkle with cheese, if desired. Return to oven for another 5 minutes. Add a pinch of cheese to the bottom of each cup. Then, crack an egg into each cup. Bake for about 20 minutes, remove from oven and add some cheese if desired and return to oven for about another 5 minutes or eggs are done to your liking. If you used scrambled eggs, use a toothpick to confirm that the eggs are done. The toothpick should come out clean if eggs are cooked. The scrambled eggs will also form a sort of dome that looks cooked at the top, in the middle, when they are done. Don't panic, remember if you are using scrambled eggs they will expand. Serve immediately and enjoy!